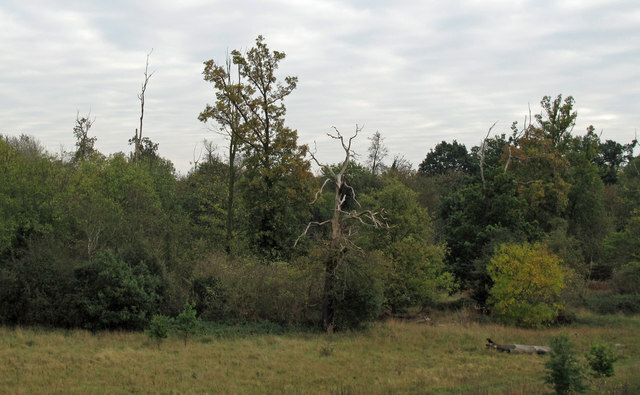 The Oakwood and Ash Plantation is part of the Thames Chase Community Forest. These two adjoining woodlands are separated by a stretch of water called the Long Pond. Oakwood was designed in the 18th century by landscape gardener, Lancelot "Capability" Brown as part of the landscape of Belhus house. The Long Pond is now bisected by the M25, and the western section is now in Belhus Woods Country Park. The plantation is joined to the country park by a footbridge TQ5781 : Longpond footbridge.